Copyright Shah Peerally Productions Inc.
Every year thousands of immigrants apply for American permanent residence through marriage. There are many immigrants in the US, some staying legally, many others illegally too, most of them want to stay over in the US and receive a green card. Green card through marriage is a commonly tried and tested method; where marrying an American citizen makes the spouse qualify for a green card and ultimately citizenship, which of course has to be approved by the immigration authorities. For this the beneficiary and the petitioner both have to go through an interview at the immigrations office, where they have to prove the authenticity of their marriage. Since many years now Immigration has become a sensitive issue with plenty of queries being raised about the kind of people who have been migrating to the US. And while there is a lot of skepticism in the minds of US citizens about the need to grant addition citizenship to many immigrants, there are other concerns which are based on issues that veer towards racism, astoundingly in a Through their films the Shah Peerally Productions have always spoken about the concerns of the people. It is a curious situation that the viewers are presented with in the film when Holly and Victor meet Bill Benet, Jenifer Lawrence and Dan Jones, Department of Homeland Security USCIS Officer, Department of State Officer and FBI Special Agent respectively. The interview that follows is an extremely intricate scene in the film. It shows many shades and angles of what actually goes on, often within the confines of such interview sessions in the USCIS offices, how people react, motives, challenges and often opinions of the State versus the people. Holly and Victor are a married couple, Holly is the petitioner in this case seeking a citizenship for her husband through marriage. While this is common in the country, because of plenty of cases where people have misused this right leading to defrauding the government with a sham marriage the immigration officers have become very vary of such cases. As is always the case in such instances, it is very difficult to judge a false case from an authentic one. The fine lines between suspecting immigration officers who think Victor is using Holy and the couple who seem to be in love, is beautifully brought out in the film. In the end we see a lot of confusion between the couple, one must also grant the fact that they are like any other couple in such a situation under a great deal of stress and actually break up under the tension. Holly and Victor face the interview under stress and they seem to not only crack up but not tuned into each other too in many ways. What also comes through shockingly is the assumption of the officers and how they are determined to decide the fate of the petition even before the interview is over. 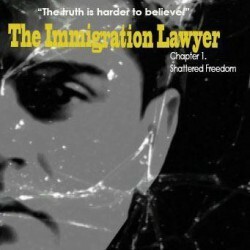 The film not only talks about the realities of life and immigration policies, rules and ways in which people use immigration policies as well as the attitude of the officers, it also teaches people about how they should be prepared for such interviews, face different situations and how they should never lie to the authorities.